We are all so busy these days, and that is nothing to be ashamed of! But by being busy without a game plan, you will not achieve all of your goals. HME/DME, as a profession, has many frightening legislations hanging over its head. You also have to wonder how long now it will take to receive reimbursements for services and supplies rendered. Some of the “delays” CMS and Medicare are putting into place make no sense. How best can we address these difficulties? Stop and think! Have a game plan. We, as independent providers and dealers, have some very effective tools, which should be brought into play. Our customers and their family caregivers have more at stake than you realize. They do not wish to lose your service and care. They do not want to travel about to obtain their supplies. Newspaper reports never tell the entire story; you must tell your customers what is happening, and how it will affect them. That is your responsibility. I spoke to several dealers at Medtrade in Las Vegas, and they shared some of what they do. They send out e-mails to their customers, patients, and yes, the family caregivers. They report what is happening and are very pleased with the support obtained in that fashion. The information is culled from AAHomecare and their state association. Stop and think! Why not do this? It is an inexpensive and very effective method to build support. When a Congressman hears not just from you, but your clientele as well, he too will stop and think. Votes are what keeps them in office, and these people vote! That should be your game plan. To be even more effective, every DME/HME dealer should be a member of both their state DME association and AAHomecare. This is where your information will come from. If you are not one currently, please sign on ASAP. I want you to remain solvent so that I will be able to see you in Atlanta this October. “The Centers for Medicare & Medicaid Services (CMS) invites you to attend the Open Payments Webinar on Tuesday, April 15, 2014, from 1:00-2:00pm EDT. I received this message on Tuesday, 3/25. I assume that many of you did as well. I am hoping that this effort by CMS will resolve many problems. This seminar is for physicians. I do not know how this might affect DME; however, that is why I will listen! It’s only scheduled for one hour! I do not know what will be accomplished, or if there will be time for Q&A, but I doubt there will be time for Q&A because of the limited time. I have it on my calendar and will carefully listen. You must also do the same. What will we hear? Be patient and be attentive. But please listen! I am hoping that we will be informed of some new dramatic changes that will enable DME/HME dealers to exist. I anticipate they will inform us that an MPP approach will be established for all reimbursements, and pray to hear that CMS will be able to eliminate the competitive bid. I anticipate that state DME principals and AAHomecare will be in the audience. I ask that every DME/HME dealer listen. Then follow the lead that AAHomecare and your local associations will recommend. They are in the forefront, and every dealer and provider must be involved. There is so much that can be accomplished when we all put our shoulders to the task! Unless you are extremely careful, you will not realize how many extra dollars you spend without good control. Please listen carefully to your accountant. Maintaining a minimum inventory, and a timely sending of purchase orders can leave a lot of extra dollars on the bottom line. When the delivery vehicles deliver your order, please be sure that none of the boxes are damaged. If they are, have the driver sign that this happened. If you are responsible for the freight, be sure it is correct. USP rates and other rates are easily found! Study carefully each invoice for merchandise ordered. Check that the quantities received are correct and then see what the terms are. Invariably they are 2%, ten days, net 30. The 2%, 10 days, adds up to many dollars every year; make sure you earn them. Purchasing is a fine art. You should always make every attempt never to stock more than a 30-day supply of any item. The temptation is always there to buy larger quantities and earn an extra few percent discount. Trouble comes when you get out of a 30 day inventory control; you may not have the dollars available for the 2%, and so in the long run, you lose. By buying cautiously when a new product or opportunity appears, you will be able to afford it! Items that turn over very rapidly should also be purchased as they are sold. Your accountant will show you how often to place orders. Usually, if it takes 3 or 4 days until they are received, place the order when you are down to a five-day inventory. Allow your purchasing agent to spend time with your accountant. I have attended many talks on buying and inventory control. I know there is a large amount of money at stake. However, I also know that when inventory and accounts payable are controlled you will exceed your goals. At Medtrade Spring in Las Vegas two weeks ago, things became crystal clear. Now is the time to build and grow. With the changes in dealing with CMS and Medicare, I realized that its important not to walk away from them but rather to maintain your current volume and patients. They still will add to your bottom line, although perhaps a little more slowly. But more importantly, after spending two days walking the exhibition floor at Medtrade, I saw new opportunities to change how you can grow. With these blogs I have often spoken about “over the counter cash sales.” At Medtrade, I saw an abundance of opportunities to expand OTC cash sales. There were more than 200 presenters with many items that would retail well in most markets. When correctly displayed and price marked, these items will turn over rapidly. Notice I said price marked! Senior citizens will not purchase any item that is not showing the retail price. Actually most shoppers feel the same way! ADL (Aids to Daily Living) must be promoted. Bathing, eating, reaching, and dressing items are not high ticket items, but sell in large quantities. Senior citizens and family caregivers constantly look for them. Safety products, monitors, walking aids (canes, crutches), wheelchairs, and scooters must all be visible and someone in attendance should be close by. Bibs, safety belts, apparel, diapers, bathroom accessories (showers, bath chairs, raised toilet seats), and so much more should be displayed. Items such as ramps, hand-held shower attachments, lifts, tens units, and recreation products will be larger cash sales. Keep in mind your target is the family caregiver. They will obtain any items possible to keep Mom or Dad from having to be put into an assisted living or nursing home, or having to move one in to live with them. So with price tags, well lit stores, good promotions and advertisements, you can build and grow more rapidly. I saw that at Medtrade, and will see so much more this fall in Atlanta. Now is the time to BUILD and GROW! ! ! Yes, Thelma and I had a very enthusiastic few days at Medtrade Spring in the Mandalay Bay Convention Center. It was a long walk from our room to the exhibits. We had to pass all the temptations the hotel can offer: fine restaurants, intriguing inviting games, and shopping. But we were in Las Vegas for a purpose. We came to Medtrade Spring along with so many DME/HME dealers, providers, and exhibitors for a reason. What made me so proud was that they all came with the same motive. This was not a holiday, it was a business meeting! The speakers, the vendors, and the associated organizations were all in attendance for the same reason. The time has come to let CMS and Congress be aware of what DME/HME means to senior citizens, ailing and bedridden patients. But extremely important for our industry, we must rally to be even more effective. Congress and CMS are doing everything they can to reduce reimbursement, but not the right things! What they are doing to “save” money will prove to be of little value. Every effort they can gather must be to eliminate fraud and abuse; I am convinced this may be half of what they pay as reimbursement. As an industry, we have to give our leaders all the support possible. Every effort of AAHomecare and your state association is for the entire industry, not just their members. If every DME/HME provider or dealer belongs to each, we will have a much better chance of getting this onerous legislation changed. When you are at home, please become dues paying members of both. Then, I will see you all at Medtrade again. Once again, I leave the Medtrade Exhibition and Conference filled with new ideas, thoughts for the future, and a deep feeling of satisfaction. I leave convinced that there has been a dramatic change in the attitude of the attendees. They came to Las Vegas prepared to join forces and work with the industry to do whatever it will take to bring about changes in the pending legislations. As a team we should be able to get the fair pricing program (HR1717) passed by Congress. This will allow DME/HME dealers to continue offering their services. If we do not see this happen, the future will be bleak. All the enthusiasm I saw in Las Vegas must continue to grow. 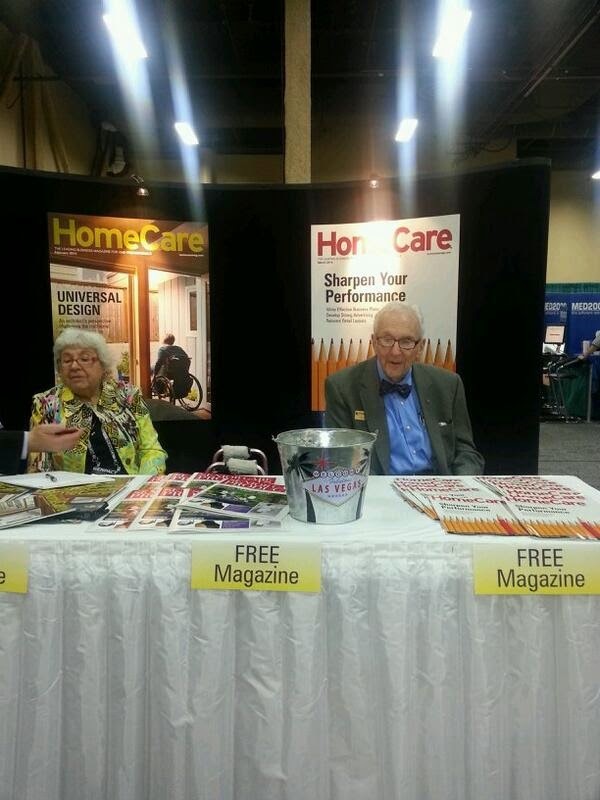 Shelly and his lovely wife, Thelma, at Medtrade Spring, 2014, in Las Vegas. In the next few blogs I will add my comments to what I feel were fantastic accomplishments. But more important is what I heard from the attendees! They all realize the new leadership at AAHomecare and the state associations will be guiding the industry in a very positive fashion. They have always done a superb job and now it appears that AAHomecare and the states are gearing up to do even more! I anticipate seeing a large increase of dues paying members to both AAHomecare and the state associations. Tom Ryan (President and CEO AAHomecare) made it very clear that they will do everything possible to get the legislation changed. They will do as much as possible to ensure that DME/HME will remain as the guiding force for the profession. They need to double their membership; and if when you read this, you are not currently a member, GET ON BOARD!!!! DO NOT FAIL TO ATTEND MEDTRADE SPRING. THE EXHIBITON HALL WILL BE OPEN TUESDAY 10/11 AND WEDNESDAY 10/12. LAS VEGAS, AT THE MANDALAY BAY CONVENTION CENTER. PLEASE ATTEND AS MY GUEST. Why does a customer shop at a particular store? I have often asked DME/HME dealers this question and the reasons I hear are never the same. I believe the main reason is that they go where they feel comfortable! At Medtrade Spring in Las Vegas (3/10-3/12) there are about sixty (60) new vendors who will be on the exhibition floor. Sixty more opportunities for you! Be sure to see as many vendors as possible! See the products being offered that will help your company attract new customers. When you return home, start a powerful new program; advertising with key vendors via e-mail, and holding open houses with them! In particular, much attention must be paid to senior citizens and family caregivers. Today, many of them have sufficient discretionary dollars to buy comfort items. Some years ago I sat in on a talk at Medtrade given by Lou Feuer. He spoke about the importance of making your customer feel at ease. Over the years, I have heard presentations on the topic, “Why a Customer will Shop at Your Location,” discussed at the Medtrade classes. You should go home with many new ideas. I reviewed some of the talks to be presented next week at Medtrade Spring (3/10-3/12). If I was a dealer today I would bring as many of my staff as possible to attend. There is a big ROI when doing that. I HOPE TO SEE YOU IN LAS VEGAS! ! ! ! ! I have been involved with our industry since 1950! I have never seen so much fraud and abuse as appears to be falling on innocent HME/DME providers. CMS and Medicare have paid far too many reimbursements for fraudulent claims! They never provided decent standards for reimbursements. They allowed payments to go to any company who submitted invoices without seeing who they may be. Suddenly they found that they have very little money remaining. I received a notice that the “Recovery Audit Contractors" will “evaluate” the accuracy of Medicare Payments. Many of the dishonest elements, such as a group from Croatia who have all taken their stolen funds and retired out of the country, will not be easily tracked down. But the average DME dealer, who gives very good care to its clientele, (much of this pro-bono) now has to wait for their money. 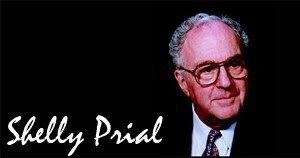 “Administrative Law Judges”, appointed to investigate much fraud can be delayed for up to 24 months. The “Extended Repayment” schedules might take as long as 60 months before funds are sent. CMS will slice 3.5% off payment rates for the next four years. I saw a notice from CMS via the Affordable Care Act that they are developing an “Open Payment” program. All of these changes I mention (and there are others) confuse me and I wonder how this affects the average provider. The time has come to accomplish many things. It’s like locking the barn after the cows have been stolen. It is close to “too late” to make these changes, but WE MUST BRING THAT ABOUT!!!!!! The pending legislation, HR 1717, must be passed . We have only a few days left until the gates are opened in Las Vegas at Medtrade Spring (March 11-12). You have to be there! AAHomecare, the State Associations, VGM, the vendors, and every attendee will be working together to keep our business solvent. This cannot be accomplished unless every DME/HME dealer, every vendor, and all of our clientele work together. Tom Ryan and AAHomecare are leading the industry, and Medtrade Spring is where things will happen. BE THERE ! !